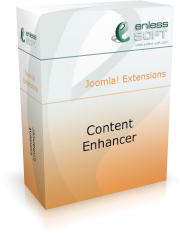 The new minor version (1.2) of the Content Enhancer product has been released. It includes a few minor bugfixes as well as some new features. We will be happy to receive your suggestions for the next version.